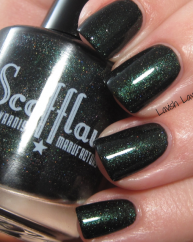 Chromosaurus Hex by Scofflaw Nail Varnish. 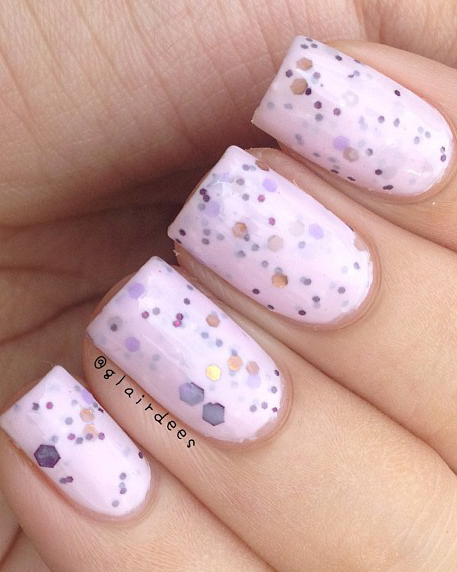 A dusty dark lavender creme base with golden green shimmer and purple sparkles. It is speckled throughout with glitters in dark green, light green, and gold. 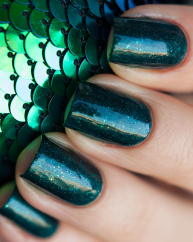 This polish is typically opaque in two coats. This is one of my absolute favourite Scofflaws! This is a beautiful dusky lavendar/taupe/grey colour with a pretty glitter combination of green and gold. 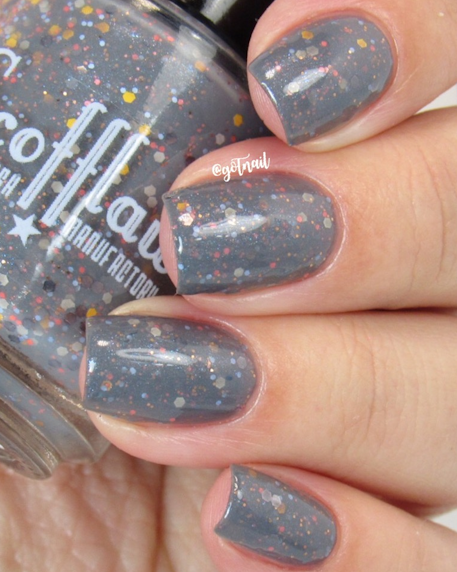 Formula is smooth and this is easily opaque in two regular coats or three thin ones.